The Clubhouse is a social and vocational program for persons with a mental illness. With Breakthrough, together, both entities are available to serve those who are poor and/or disabled by symptoms of mental illness in the Wichita, Kan. community. The Clubhouse continues to grow and remains a valuable resource for those living with mental illness in the Wichita community. The Clubhouse developed out of the need to help persons who have mental illnesses improve the quality of their lives. Early leaders of the Clubhouse program decided to implement a clubhouse model program in Wichita, Kan. The "Clubhouse" model, started by Fountain House in New York City, caught their attention. The concept behind the clubhouse is that the staff and members are equal, sharing equal responsibility for the day-to-day functioning of the Clubhouse. This is different than most rehabilitation programs because the clients are working through their mental illness with the support of staff and others who are experiencing the same difficulties. Fountain House defines a Clubhouse this way: "A Clubhouse is committed to helping people with mental illness stay out of hospitals while achieving educational, financial and vocational goals. Responsibility for operation of the Clubhouse lies with the members and staff, who are engaged in all aspects of Clubhouse operation." It's our hope that when our members come on a daily, weekly or monthly basis that they feel personally invested in their recovery and in helping others recover. The Breakthrough Clubhouse is the only accredited Clubhouse in the State of Kansas. The Clubhouse model affirms the value of members and their ability to be part of a meaningful community regardless of mental illness. The Clubhouse was originally part of Episcopal Social Services. 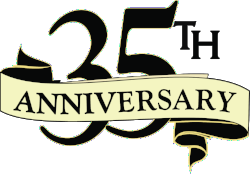 In 1992 it became a freestanding non-profit organization modeled on the Fountain House "Clubhouse model" concept in New York City. 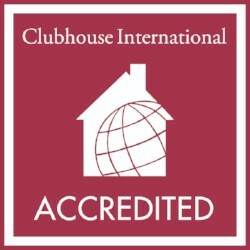 Breakthrough Club is fully accredited by the International Center on Clubhouse Development. In 2008, mental health funding was drastically cut in the state of Kansas and by local government agencies. Breakthrough Club lost 75% of its funding and had to drastically cut services. Today, after years of advocacy on the part of staff and members, the Clubhouse enjoys the support of the State of Kansas through discretionary funding.